The Environment and Natural Resources program at the University of Wyoming strives to be a valuable regional resource for those who are making decisions about and managing complex natural resource issues. Since the program launched in 1993, ENR has published dozens of reports, one-pagers, brochures and meeting summaries. 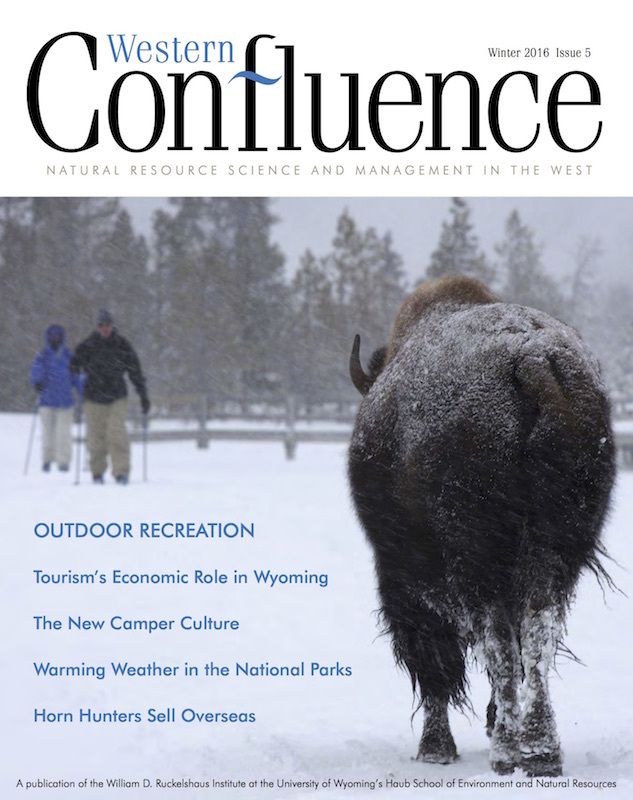 Western Confluence, a bi-annual magazine from the Ruckelshaus Institute, provides a forum for natural resource managers, decision makers and stakeholders to share their stories, and engages a wide audience to think critically about how we take care of our natural resources in the West. The Ruckelshaus Institute publishes reports summarizing conferences and meetings we organize, and documents meant to inform and guide natural resource decision making in the West on such topics as wind energy development, bark beetle management, brucellosis control and others. 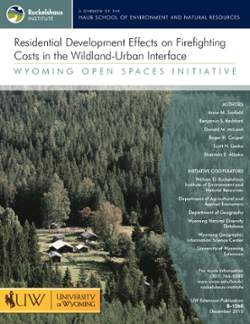 The Wyoming Open Spaces Initiative is a collaborative effort between the Ruckelshaus Institute, Wyoming Natural Diversity Database, UW Department of Agricultural and Applied Economics and Wyoming Geographic Information Science Center to help Wyoming citizens maintain the state's healthy, open landscapes while fostering vibrant communities and growing economies. 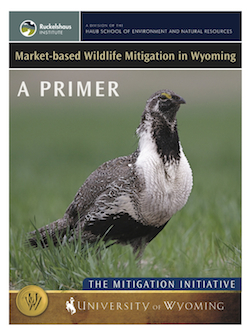 The Energy Mitigation Research and Outreach Initiative gathers and synthesizes information on mitigation practices intended to ameliorate the consequences of landscape-scale energy development to wildlife populations. 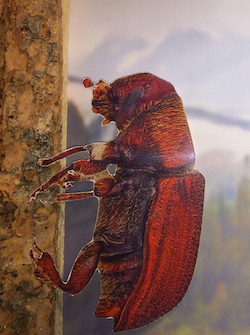 Our Future Forests: Beyond Bark Beetles is a series of ten short films exploring changes in our local forests following the bark beetle outbreak. Viewers meet the people dealing with those changes including fire lookouts, foresters, rock climbers, volunteers, wildlife biologists, and others. The project is the result of a collaboration between the Ruckelshaus Institute and the Medicine Bow-Routt National Forests. This online library is meant to disseminate valuable resources to the public. All of our publications are available as pdfs on this website, and some are available in hard copies at our office. 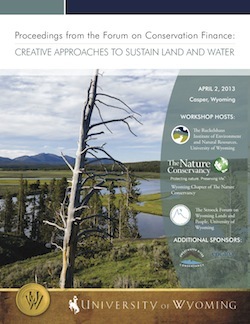 To request a hard copy of any of our publications, please email us or call (307) 766-5080.